Essential and uplifting advice that will help you get from where you are to who you hope to become. Often referred to as The Traveling Yogini, beloved yoga teacher Stephanie Spence explores what it means to become our truest selves. Weaving her experience as a writer, mother, and PTSD survivor, Spence affirms that not only is the soul’s messy and unpredictable journey inevitable, it is essential to our quest to live a life we thrive in. Yoga heals—not just the body, but the heart and soul. Whether you’ve only dabbled with the idea of trying yoga, or have practiced for a long time, yoga is about you. Physically, it increases endurance, strength, and flexibility. Mentally, it reduces stress and helps you find stillness in a chaotic world. Spiritually, it helps you evolve to your highest potential and live in a space of gratitude and peace no matter what’s happening around you. 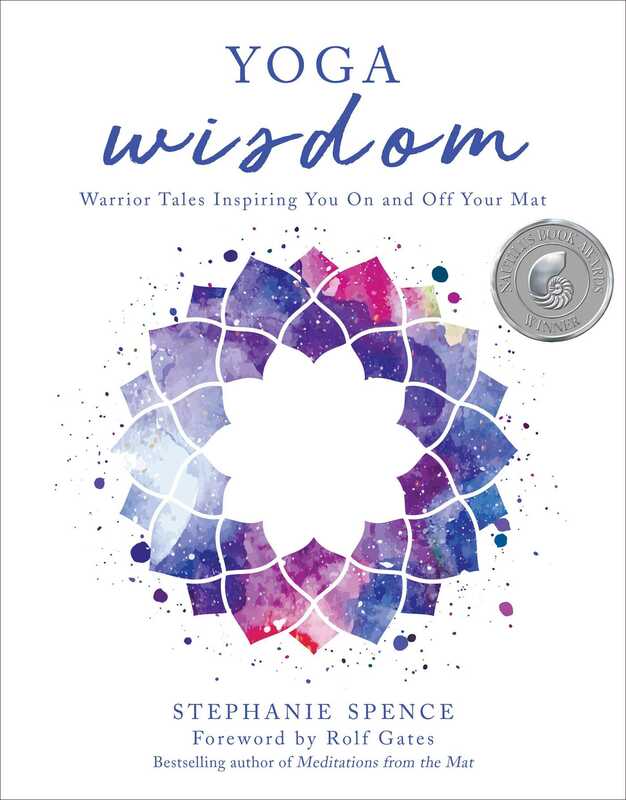 Here, Spence has gathered the wisdom of eighty-five acclaimed yogis to enable readers to live their life to the fullest. Real and raw wisdom from global leaders in the yoga community—from classic yoga superstars to today’s rock-your-daily-asana hipsters—will motivate you to live a life beyond your wildest dreams. Filled with universal insights, intimate, comforting stories, and spiritually practical tips, Yoga Wisdom is here to help keep you on the road to truth, authenticity, and balance in all aspects of your life.